Help us raise funds as you shop! 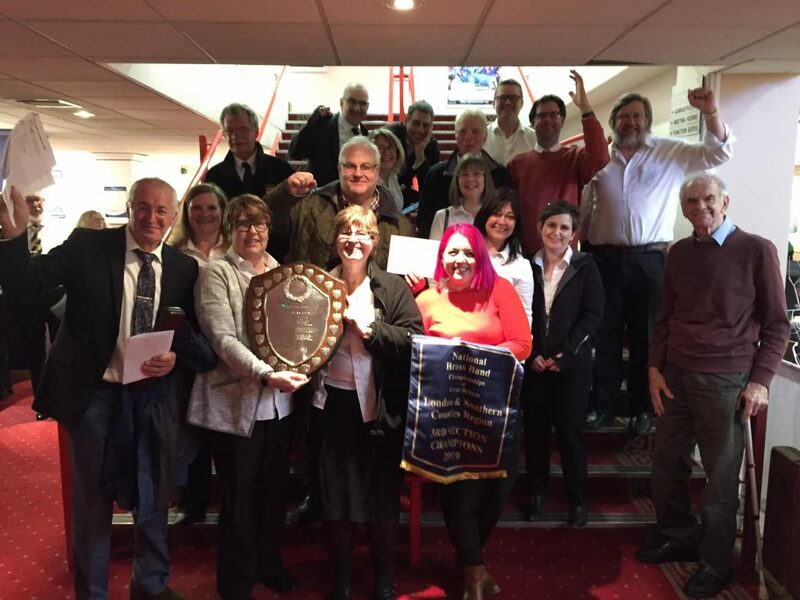 16 March 2019: Today we travelled to Stevenage for the London & Southern Counties Regional Championships and came away with the 3rd Section winners’ shield and pennant, beating 14 other bands to the prize. To make our day even better, our conductor, Rom Stanko, won the Conductor Prize. This means we can look forward to another visit to Cheltenham to represent our region in the National Championships in September. Well done to Rom and all the band for a great win! A great start to the year, with some silverware for the trophy cabinet! 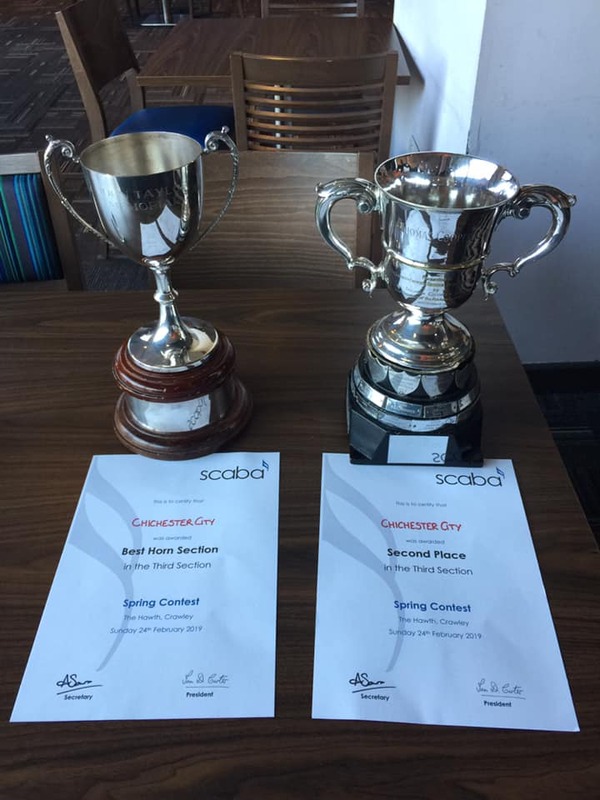 A creditable second in our section at the SCABA Spring Contest at the Hawth in Crawley (Sunday 24th Feb), not to mention a ‘Best Horn Section’ trophy! It’s that time of year when we look back at how things have gone this year…but before we talk about concerts, contests and our new home (!) we have to say a very fond farewell. 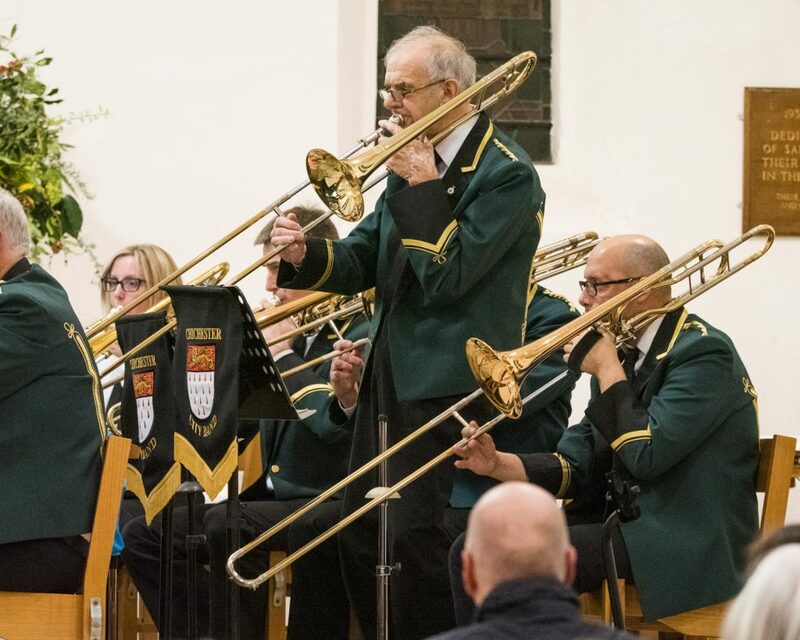 After 30 years continuous service as a trombonist with Chichester City Band, our Life Vice President, Don Webb has retired from playing. At our Christmas concert on 14th December, he finally hung up his slide, but not before taking his final solo and having Chair, Dave Williams present him with tokens of our appreciation, including a commemorative shield. Thanks for your dedication and hard work, Don – we’ll miss you! (Having said all that, Don turned out for of our post-concert carolling engagements, proving a good bandsman can never quite let go!). To listen to Don talking about his time with the band, head to the Chichester Observer website, where you can also read more about his playing career. We also played several times this year for the RNLI in Selsey, supporting two lifeboat launches, in addition to our regular appearance at the Service of Thanksgiving. We started our year with a clean sweep (Senior, Elementary and Community bands) at the Chichester Festival of Music, Dance and Speech, then headed to Stevenage for the London & Southern Counties regional contest, where we achieved a magnificent 2nd place and qualified for the National Finals in Cheltenham in September (rehearsals for which made our summer even more busy!). We had a great time at the Nationals competing against the best bands in the country in our section and, although the result wasn’t what we’d have liked, we had some really positive comments from the adjudicators. 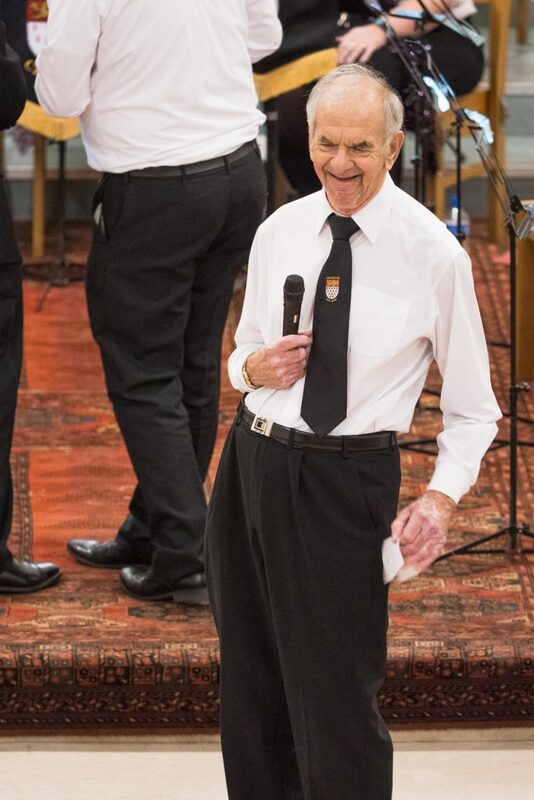 We can’t talk about contesting without thanking our MD, Rom Stanko for his incredible preparation for Stevenage (where he also stepped in to play percussion at the last minute!) and Cheltenham, and to our Community Band MD, Alan Rodger (who stepped in to conduct at Stevenage with about 2 weeks’ notice). And of course our Elementary Band MD, Bob Ainsworth who took our juniors to their first cup success! It just remains for us to wish all of our friends and supporters a very Merry Christmas and a Happy New Year. We look forward to seeing you all during our 2019 season! Chichester City Band rehearsals are now “on track”! 2018 has been quite a year for Chichester City Band but perhaps the most significant event, on 30th October, was our return to the City after some 6 years in Bognor Regis. Although we’ve been able to use great venues (thanks to the Regis Centre and to South Bersted Church Hall for providing us with rehearsal space), we’ve been constantly striving to move back to Chichester. Having heard of our search for a suitable venue, Jon Barnett, General Manager of Goodwood Motor Circuit, very kindly offered his assistance. As a result of the company’s magnificent generosity, we have been very fortunate to move into our new home in the Super Shell, a fantastic historic building (clearly visible from the air and on Google maps! ), which has great space, can accommodate all of our groups under one roof, and has an acoustic that is ideally suited to our needs. Pi ctured here is our first rehearsal with MD, Rom Stanko. We have plans for a photo shoot on the race track itself, which runs alongside the building, but we’ll have to wait for better light in the spring (and also make sure the track isn’t being used for its intended purpose)! For more information about the Band, please check out the rest of the website. Well that was a busy June, with two concerts (in the Alexandra Theatre, Bognor, and our regular summer Chichester Festival concert at St. Paul’s) and two very ‘floral’ events – Chichester C athedral Festival of Flowers and our regular outing to the beautiful gardens at Stansted for the Garden Show. But there’s no rest for a brass band in the summer season! Although we’ll be busy preparing for our very exciting trip to Cheltenham to take part in the Finals of the National Brass Band Championship of Great Britain, you’ll still have lots of opportunities to see us in July as we hit Chichester City Centre (Saturday 8th) and some of our favourite local fetes (Singleton, 21st and Sidlesham, 28th). 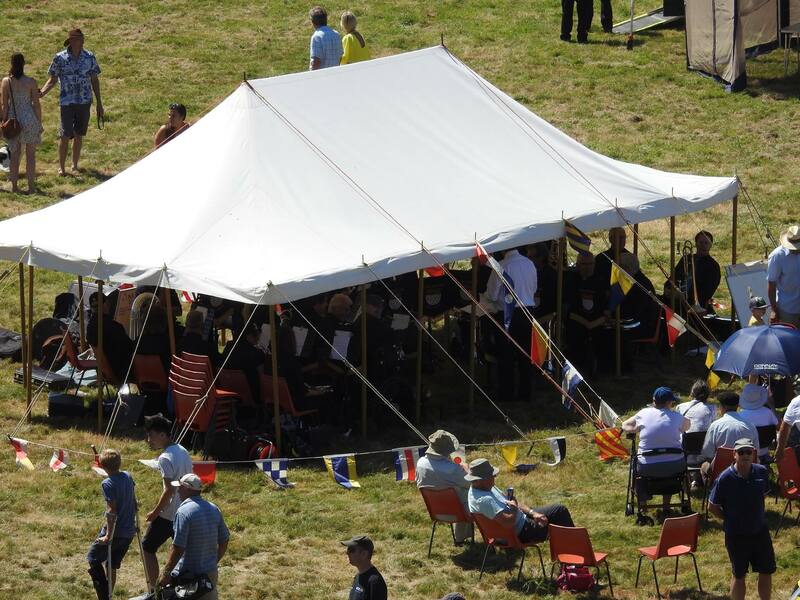 We end the month with our annual participation in the RNLI Service of Thanksgiving (Selsey, Sunday 29th). Check out all of our events on our Facebook page or our Diary of events page for full details. June is (nearly!) bustin’ out all over! We’re already into our 2018 season, having kicked off the ‘Last Friday’ series at St George’s, Whyke in April with a superb concert. But the summer season starts in earnest this weekend with our annual trip to Slindon College for the wonderful Slindon Fete (Saturday May 26th, 2pm)! 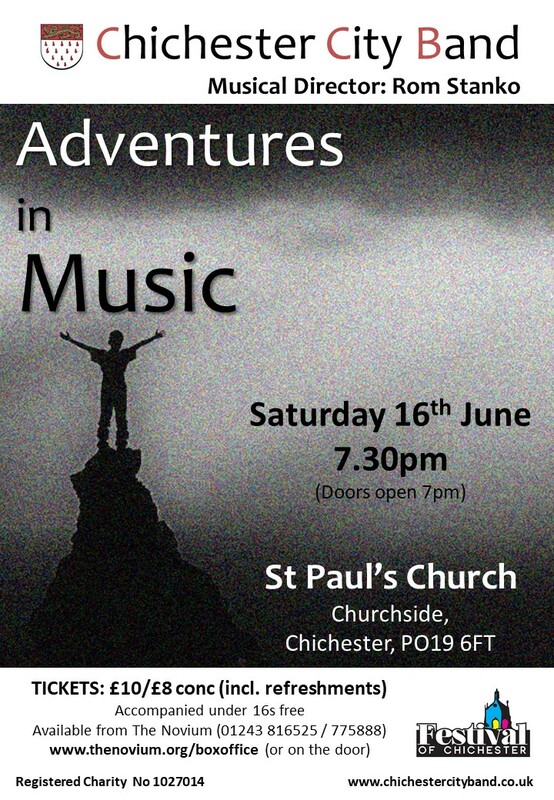 our Chichester Festival concert at St Paul’s (Saturday 16th, 7.30pm). Check out all of our events on our Facebook page or our Diary of events page – and you can even print some posters out to help us advertise our upcoming concerts! We’re starting 2018 with a real treat! Chichester City Council will confer the Honorary Freedom of the City on astronaut Major Tim Peake at a sell-out ceremony at Chichester Festival Theatre on Sunday 25 February at 2.30pm. We will be playing before the presentation from around 1.45pm. If you want to see what else we’re doing this year, check out our Diary of Events page. Filled up already! …to all our friends and supporters. Wishing you all a peaceful, happy and healthy 2018! It’s that time of year again! 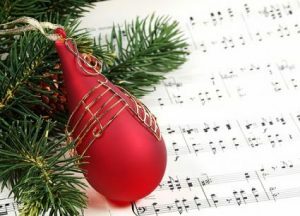 Make sure you mark your diary for our Christmas Concert – Friday 8th December, 7.30pm, St Paul’s Churchside. As ever, our run up to Christmas is a busy one so make sure you also take the opportunity to come and see us in and around the City. Here is a selection, but for full details, see our diary of events page. You can also catch us playing carols in the City Centre (North St) on Saturdays 16th/23rd and Sunday 24th December (between 10-3pm). Come along and say hello! A great ‘night in Vienna’ – but there’s another chance to see us at the Regis Centre if you missed it! But if you missed that one, don’t worry as we’ve managed to sneak in an extra date for the diary. 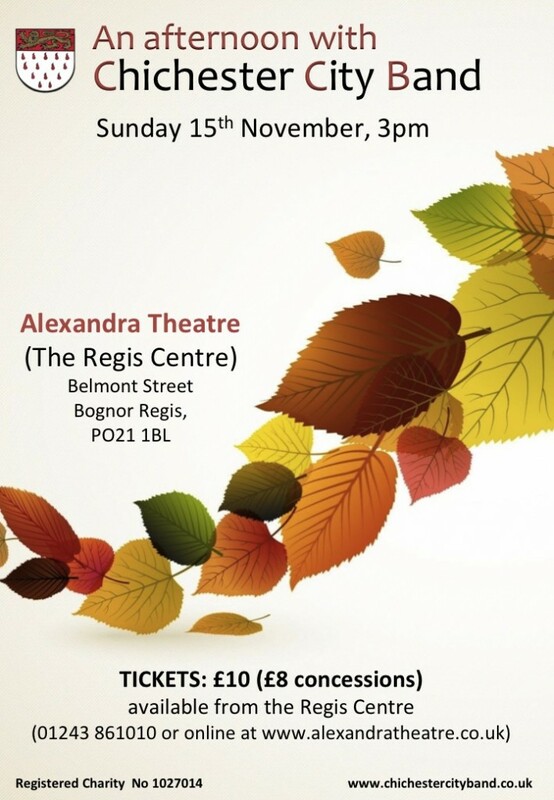 Catch us on November 15th (3-5pm) at the Regis Centre (Alexander Theatre), Bognor Regis. A great way to spend a chilly autumn afternoon. (Tickets £10/£8). Check out our Diary pages for more info. 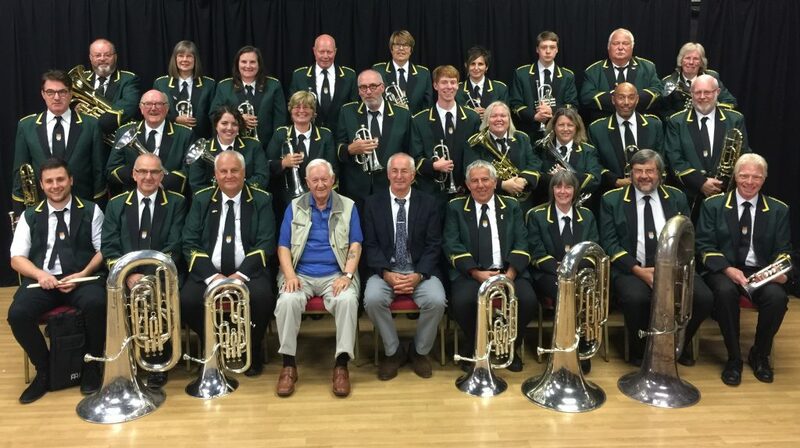 “I just wanted to pass on all our thanks from the Selsey Festival for giving us such a superb evening of music last night which was enjoyed by the very large audience who turned up to hear you all play. 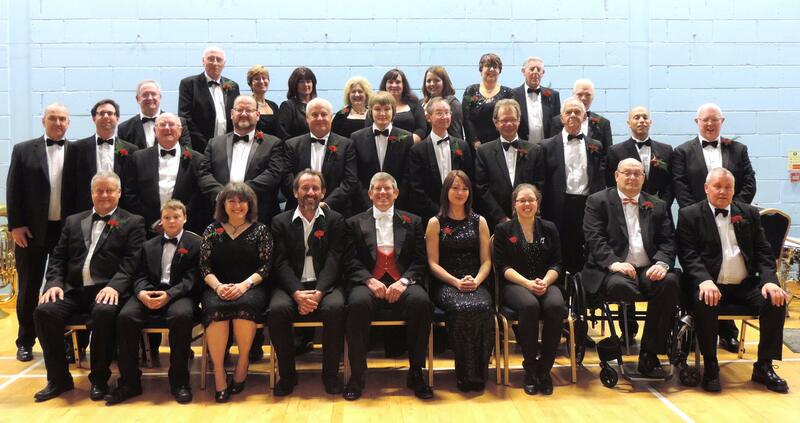 It really was a delight – please pass on our best wishes to all the band who worked so hard to achieve such a fantastic evening’s entertainment”………………………………. The Band was very much appreciated by those present, the quality and variety, was as usual, quite superb. 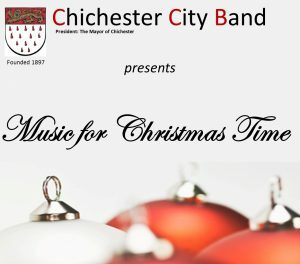 Those who were lucky enough to be present, were treated to a wonderful evening of superb music and I would be grateful if you could pass on to your Director of Music and all the members of Chichester City Band, our grateful appreciation for an evening of quality music. Thank you again Geoff for the important part you played in making the evening such a success”………………………. 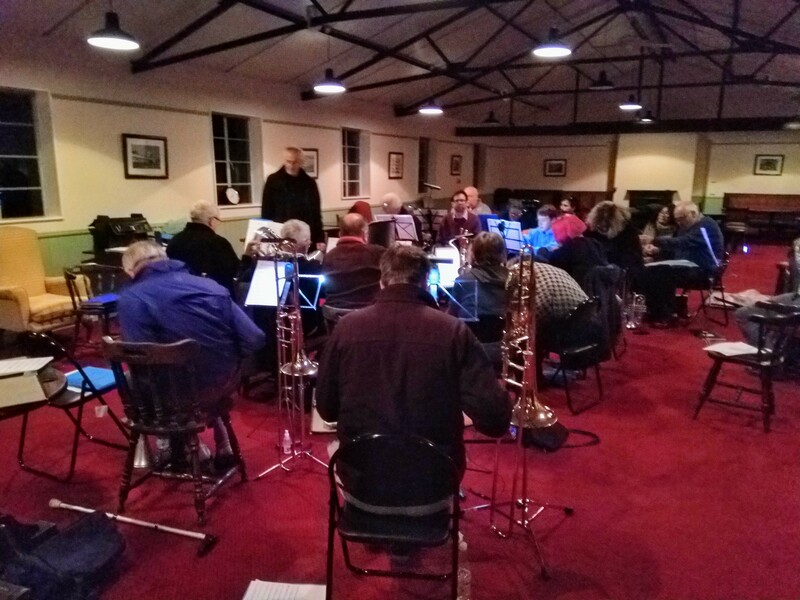 “I would like to thank you for the wonderful concert you put on for us, your programme was a mixture of soft, melodic, even romantic music : along with very rousing & foot- tapping items. A truly enjoyable mixture. Please pass on my thanks to Ted, with a particular thank you to the three soloists. 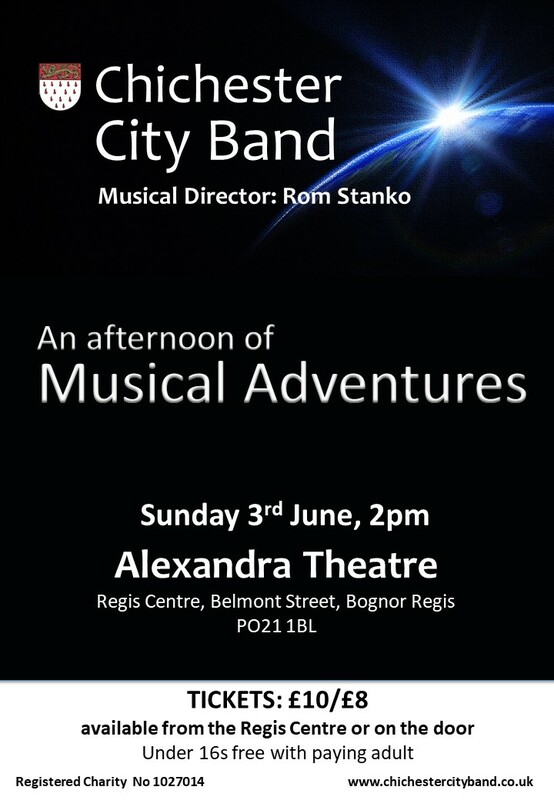 You are a talented “band” (pardon the pun) in the Chichester City Band & long may it continue”………………. “I want to thank all the band and Ross for a wonderful concert on Saturday. It was a moving experience and wonderful to see such a great audience in the park, really enthralled by it all. Will you please convey my thanks and sentiment to the band”…………..